Francisco Goya y Lucientes, Seated Giant (detail), by 1818. Aquatint with burnishing and scraping, first state. Katherine E. Bullard Fund in memory of Francis Bullard. One of the titans of European art, Francisco Goya (1746–1828) witnessed a time of revolution and sweeping change in thought and behavior. As 18th-century culture gave way to the modern era, Goya’s penetrating gaze sought new means to capture human experience, both as he observed it, and as his imagination and artistic gifts transformed it. “Goya: Order and Disorder” takes an innovative approach, organizing the extreme variety of the artist’s output thematically. The exhibition employs the poles of order and disorder to structure Goya’s creativity, moving from dignified portraits and daily rituals to the chaos of war and the pandemonium of the Bordeaux bull ring. Goya also attended to the fertile territory between the competing forces of order and disorder. In some works, either harmony or chaos prevails, but most exhibit a disquieting tension between these opposites. To comprehend the artist’s boundless creativity, “Goya: Order and Disorder” is divided into eight major sections. These address such themes as the nurturing and abuse of children; hunting as sport and metaphor; religious devotion and superstition; equilibrium and loss of balance; justice gone awry; and the symbolism of the giant. This framework enables the visitor to perceive connections across media and time that the artist himself made. The largest Goya exhibition in North America in a quarter century, “Goya: Order and Disorder” is on view only at the MFA. The full range of Goya’s ingenuity is on display: from the elegant full-length portraits of aristocrats that established his reputation in Madrid, to the satirical prints that carried his fame beyond his country, and to the sympathetic or acerbic drawings from his private albums that reveal the very foundation of his ideas. Built on the MFA’s deep collection of works on paper by the artist, the exhibition comprises 170 of his most significant paintings, prints, and drawings, ranging from the 1770s through the end of his life. Some 71 works from the MFA, including rare drawings and working proofs that have not been displayed in Boston since 1989, form the core of the exhibition. They are joined by important loans of paintings and drawings from the Museo del Prado, the Musée du Louvre, the Galleria degli Uffizi, The Metropolitan Museum of Art, and the National Gallery of Art (Washington), as well as numerous private collections in Europe and the United States. “Goya: Order and Disorder” is the first occasion that several works have ever been shown in public exhibitions, or in this country. 10/23/14 The New York Times "Mapping Out a Museum Crawl"
10/16/14 The Boston Globe "Extraordinary MFA exhibit shows Goya in full"
10/16/14 The New York Times "Cosmic Grumbling, Awash With Acid"
10/14/14 NPR, On Point "How Goya Interprets Our Modern Moment"
10/5/14 The Boston Globe "Special relationship brings Goya masterpieces to MFA"
9/26/14 The Wall Street Journal "Goya's Pop-Culture Moment"
Media Sponsor is WCVB Channel 5 Boston. Generous support for this exhibition provided by Highland Street Foundation and the Thompson Family Foundation. Additional support from the Samuel H. Kress Foundation and the Joseph F. McCrindle Foundation. Organized by the Museum of Fine Arts, Boston, with the special collaboration of the Museo Nacional del Prado. Explore with a touch screen player. 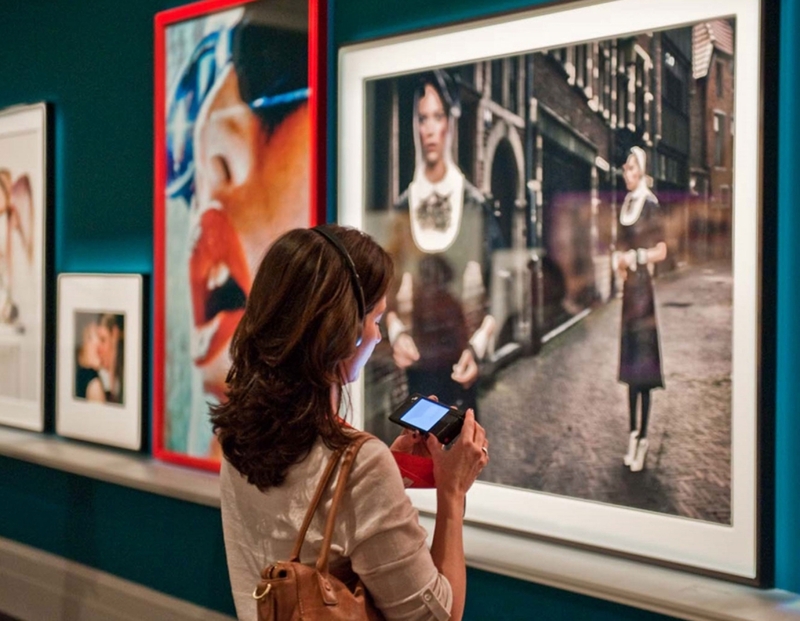 Get insights from curators, conservators, artists, and others through images, audio, and video.